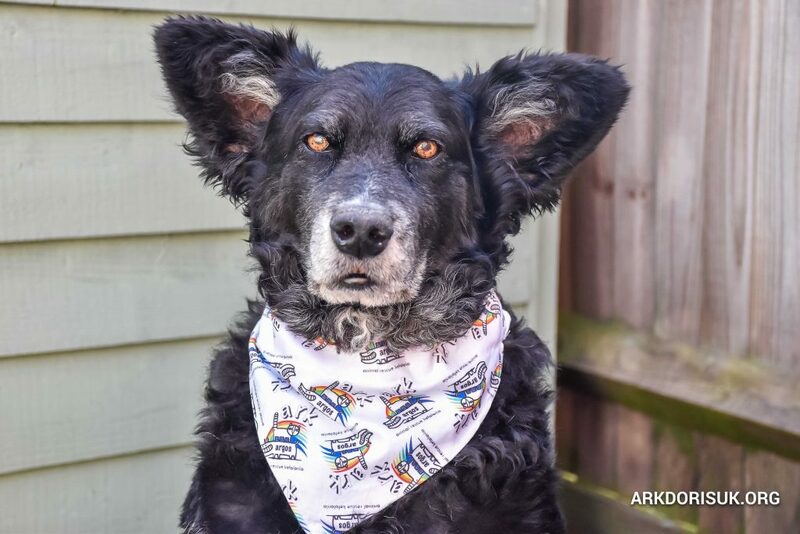 ARK Bandanas – Show Your Suppawt! The bandanas are suitable for Dogs and Cats (x-small only for cats) and are fully lined & machine washable. We recommend washing on a low setting / separately for the first wash.
Our models are wearing size Medium! 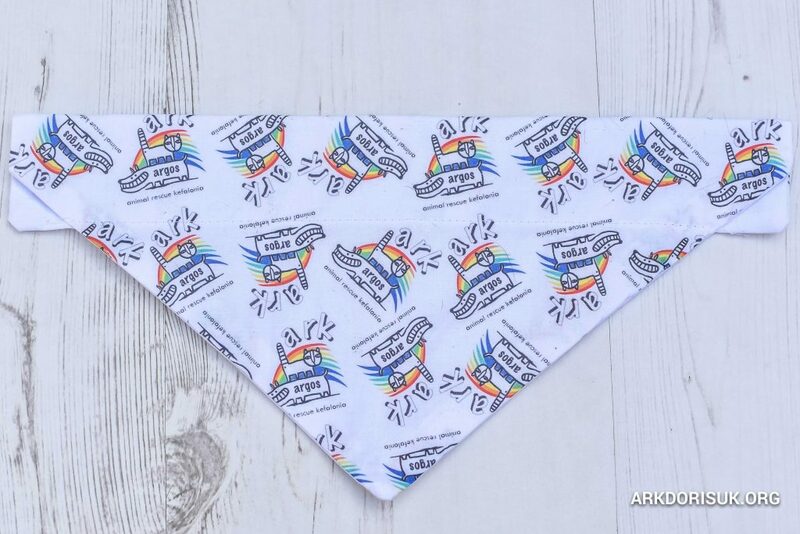 Please note, the bandanas are made to order so delivery can take approx 2-3 weeks. For European orders, postage is between £3.50-£5 & will be confirmed when ordering. 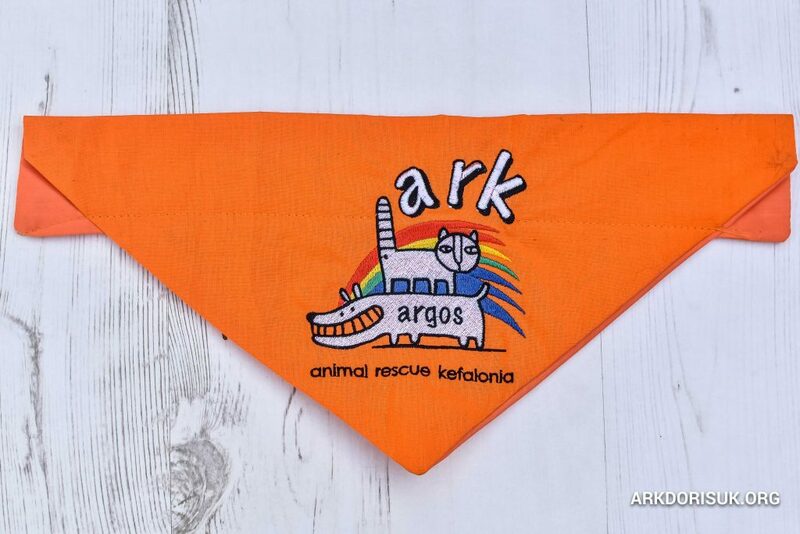 Please email info@arkdorisuk.org with details of what you would like to order (colours, sizes and mailing address). Payment is via Paypal or payment into our UK bank account, details of which will be provided via email. 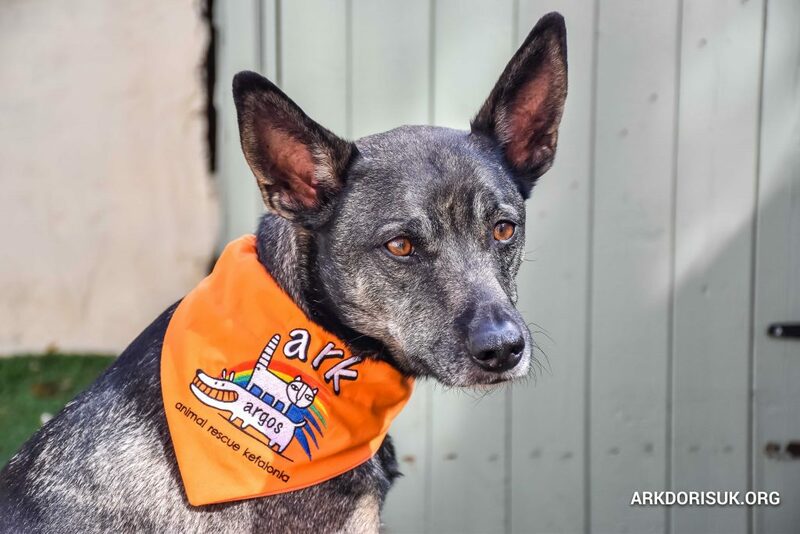 100% of proceeds from the ARK Bandanas go to ARK! 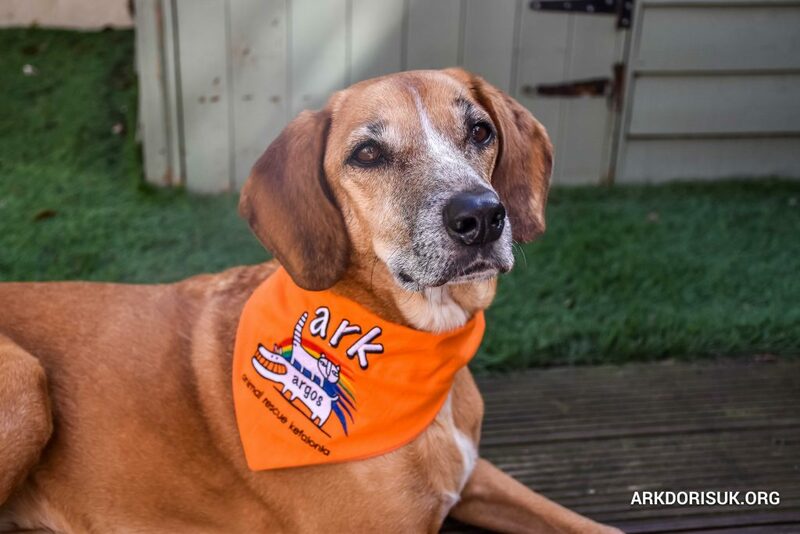 Send us a picture of your pet wearing their ARK bandana and we’ll feature it on our website & social media pages. Thank you for your SUPPAWT!